Summer just screams for DIY's. We usually tend to have more time for summer projects, and we have more reasons to do them. I've spent more time on pinterest recently looking at some DIY's to do myself and just had to share! These are some of my favorites! DIY Summer Rug - This DIY looks so easy and so cute. You could do pretty much any pattern that you wanted to as well, and in any color. Not to mention that this seems pretty disaster proof, and cheap! Photo taken by Carrie Waller / eHow. Tye Dye Take DIY - This one is probably one of my favorites that I've found! Partly because it would work for before and after maternity. This one just looks like so much fun to make and wear! It's a bit more complicated than the rug, but so cool in the end! Photo taken by Allie Holcomb. Beauty DIY - This link has so many cool beauty ideas for summer! 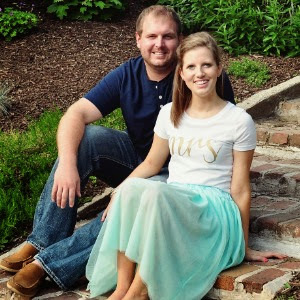 Some things I had heard of before but a lot were new to me, and they seem like such great ideas! These all seem so easy too! Definitely check this one out. Photos by Augusta Falleta. 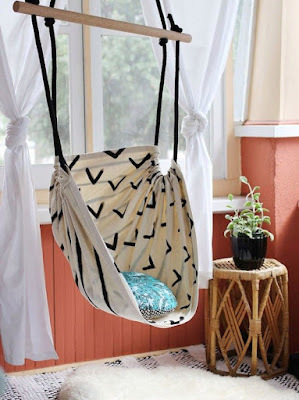 Hanging Hammock DIY - This one is just smart. You can't go thought summer without some kind of hammock, and this one isn't near as hard as it looks. You could totally make this in any color or pattern to match your outdoor decor. This would work for outside or in a screened in porch. Photos by Haley Pierson-Cox. Frosted Lemonade DIY - Okay so this one isn't truly a DIY, but it looks so darn good I couldn't not include it. Maybe it's just my pregnant state, but I have been craving really cold things, and it's been 90 degrees here this week. This is the perfect combo, and who doesn't love Chick Fil A lemonade?! Photo by Leigh Anne. What are some DIY's you plan to try or have already done this summer?! 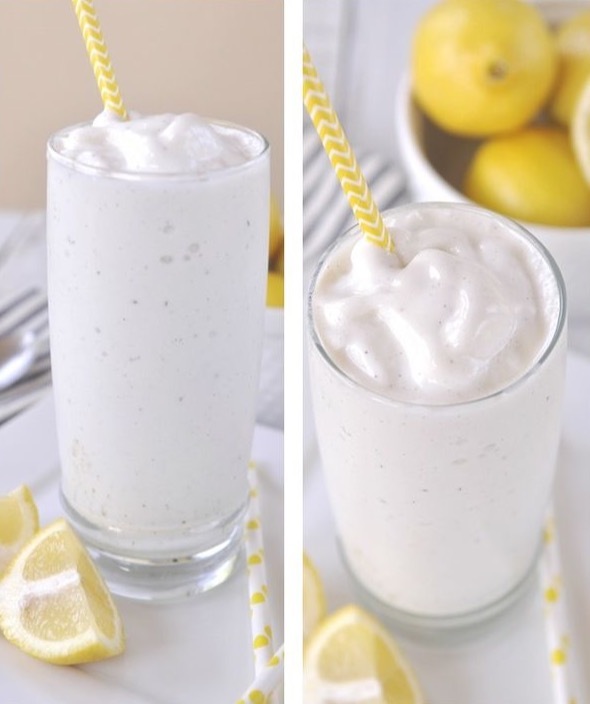 Oh yum, frosted lemonade, please! That rug is adorable (and would be such a cute gift idea, too!). 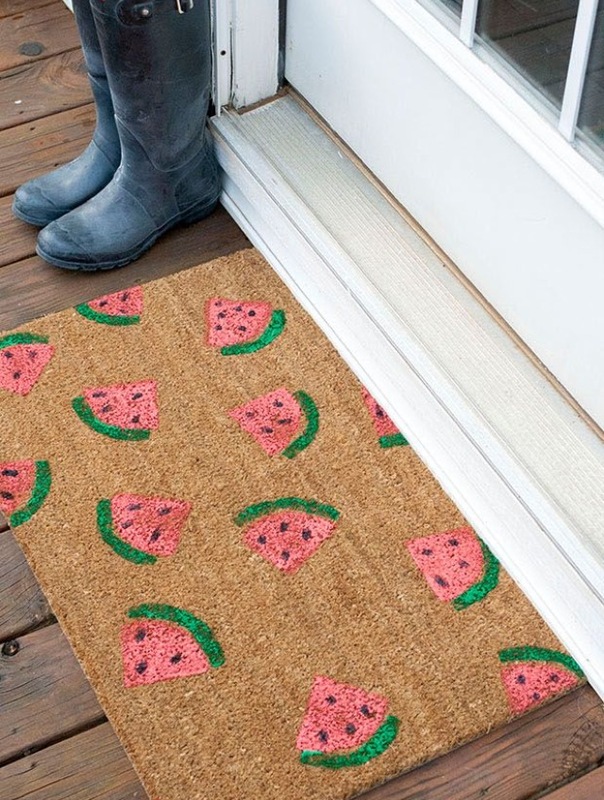 Obsessing over that watermelon rug, I bet all you would need is a sponge and some paint! I can't wait to try some of these! That door mat is adorable! 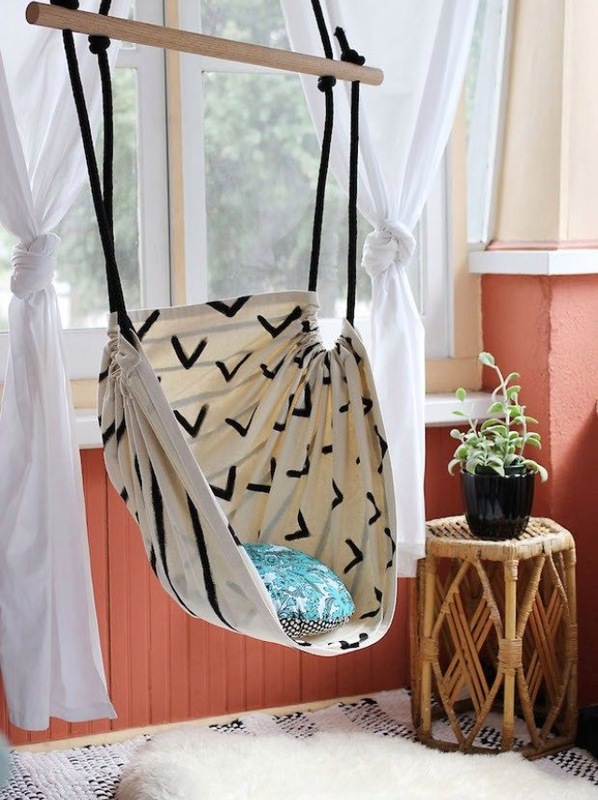 Oh em gee, I looove that hammock chair! I'd love to try to make one. These all look so fun. ha! 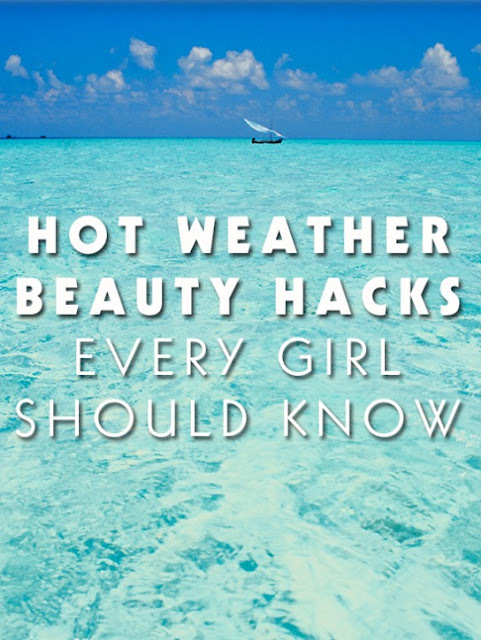 i just posted on summer beauty hacks, so it was fun to see someone else's perspective. but i'd never put polish in the fridge. bubbles come from shaking the bottle too vigorously or to thick of product. and iwant to make that hammock! it looks adorable. Such a great round up! All my DIY's are focused on the baby right now - I'm excited, but also looking forward to getting everything ready with hopefully some time to relax before she actually gets here! So much goodness in this post - I can't wait to give a few a try, especially the doormat!